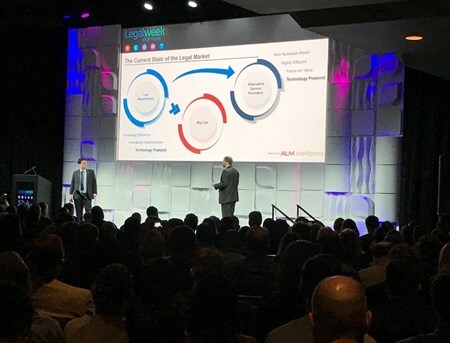 In the opening keynote of LegalWeek 2018, Nicholas Bruch and Steve Kovalan, ALM Intelligence, took a look at the state of the legal marketplace and gave their view on the major trends based on their analysis of data from ALM Intelligence. Much has changed in the legal market over the past decade, but a lot still remains the same. Despite growing competition from alternative service providers, law firms still account for the lion’s share of law department spending. And despite the talk about alternative fee arrangements, fee-for-service pricing continues to be standard practice. 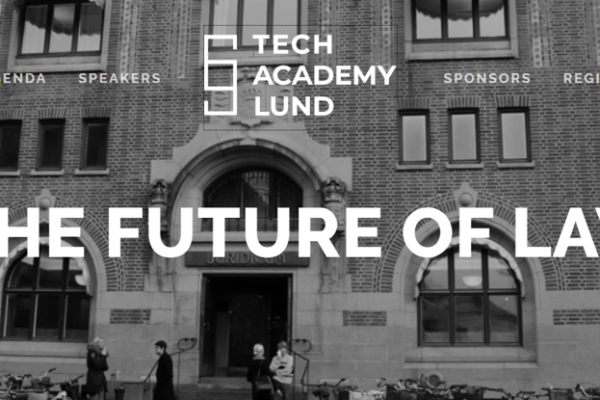 Has headlines such as “The robot lawyers are here – and they are winning”, “The Big Four taking on the world”, “Client demands get more extreme” etc. any bearing? To find out, ALM Intelligence collected data about the state of the legal market, to analyze what has changed, what has not and parse the data to reveal the major trends to predict when the disruption we have all heard so much about will happen and what it will look like. Some of the facts that are unquestionable is that in-sourcing has increased significantly over the past decade. ALM Intelligence data showed that the number of in-house lawyers grew with annual growth rates of 4.7 percent, but AM Law 200 lawyers only increased with a meager 0.4%, during the years 2011 to 2016. Other facts presented were that law firm revenue growth decreased significantly during the downturn, but has now stabilized. Law firms financials have increased again after the downturn, mostly due to the firms response to the changed market by cut costs, the use of technology and efficient management. But still, law firms are facing a period of high volatility, with revenue decline. The law firm market share is however still 60-70% as new competitors are still underdeveloped and are only nipping at the edges. The major part of the law firm share is however taken by the richest 25 firms. There is also a major elephant in the room to consider… the big four, which are getting much bigger than most of us realize, with over 2 000 lawyers employed. The already existing and strong client relationships and the entrepreneurial attitude will make the big four a specifically fierce competitor to law firms. Based on the data presented during their presentation, Nicholas Bruch and Steve Kovalan concluded that the key take-aways for the future of the legal marke are that the competition will continue and increase in intensity, that we will see more consolidation and more globalization of law firms, that legal departments will increase in sophistication and keep even more work in-house as well as put more pressure on vendors, that law firm management success will be determined by firms’ ability to collaborate and execute and that investments in technology will be important to the legal industry, but as a means, not an end. Robot lawyers are not coming for your jobs — they are a tool to help you do your job better.